As any fan of 007 will know, the casino scene is as integral a part of any Bond movie as the car chase and the rooftop pursuit. Similarly, the typical image that most of us have of the long-serving British super-spy is seeing him dressed in an immaculate white tuxedo keeping his cool as he plays for the highest stakes possible. The very first film in the series Dr. No, which was released in 1962 and introduced Sean Connery as Bond, pitted him against the evil adversary who aimed to disrupt a US rocket launch using an atomic-powered laser beam. The opening scene in the film takes place in a London casino where Connery introduces himself to the first ever Bond girl, Sylvia Trench with the immortal words, “The name’s Bond…James Bond” before going on to show his skills at chemin de fer. You can show your casino skills online with this bonus code. Three years later in Thunderball, Bond was again at the casino tables, this time in Nassau in the Bahamas where he was pitting his wits against the eye-patch wearing Emilio Largo who, as the second-in command at S.P.E.C.T.R.E., knows the whereabouts of two stolen nuclear warheads. In a classic Bond scene the two men play cards, each knowing the other’s true identity but, indeed, keeping their cards close to their chests. It’s a great example of the ingenious ways that the filmmakers have used gambling scenes to heighten tension and progress the plot. In Diamonds Are Forever, Connery’s final appearance as 007 in 1971, much of the action takes place in Las Vegas. It’s here that one of the most famous Bond roulette strategies, betting on the number 17, is brought into play. Also, while trying his luck at the craps table he first meets the unforgettably named Plenty O’Toole. He not only manages to seduce her, he also walks away from the table some $65,000 richer. Jumping forward to 1995, and perhaps wisely avoiding the Roger Moore years as Bond, GoldenEye sees Pierce Brosnan in the role. Although the actor may have changed, the reliance on punning innuendo hasn’t and our hero has to take on the calculating Russian spy Xenia Onatopp in a game of baccarat in the Casino de Monte Carlo. The scene is comparatively long and uses the game to really crank up the tension. The most famous casino scene of the latest Daniel Craig manifestation of the role came in his first film, Casino Royale. As a 007 for the 21st century, Craig’s Bond had become far more ruthless so the casino scene in which he plays Texas Hold’em with the villain Le Chiffre is brutal. At one point, Bond even has to restart his heart with a defibrillator having been slipped poison in his drink. Naturally, he recovers and goes on to win handsomely. 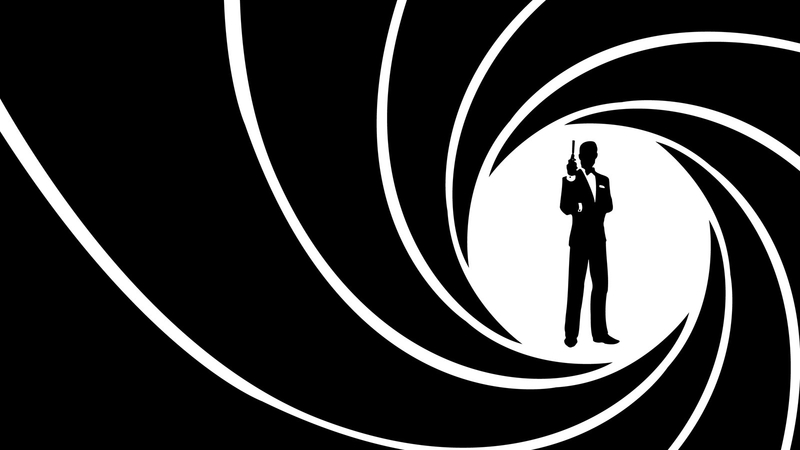 So as long as there are Bond films there are certain to be casino scenes too – and hopefully the very best of them will continue to leave viewers the world over just how Bond doesn’t like his Dry Martini – shaken and stirred.